We appreciate the feedback and concern that has been raised about the security of the CBCS slab. While we cannot prevent nefarious individuals from attempting to defraud people, we can certainly make it as hard as possible for them to do so. Over the last few weeks we have been testing different ideas to arrive at the best solution. 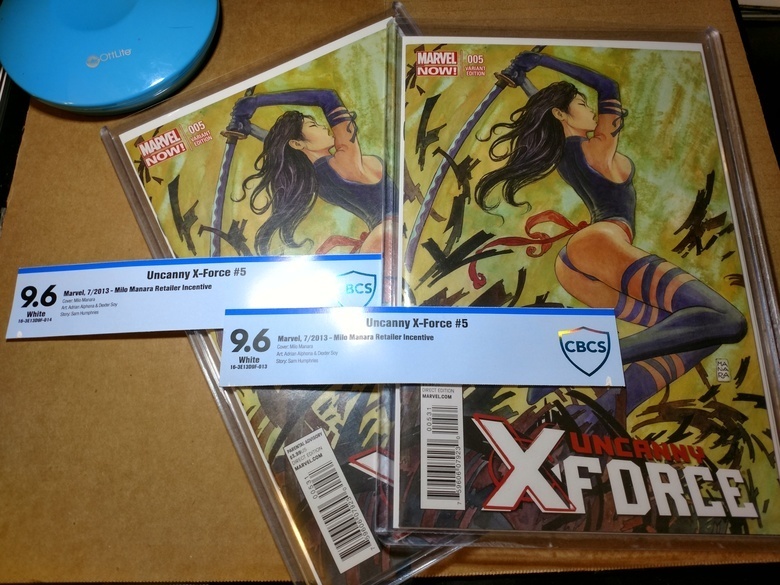 Our goal was to prevent the CBCS label from being removed without showing obvious signs of damage. This would eliminate the ability for labels to be switched. We have determined that the answer lies in the holofoil CBCS logo. Effective immediately, CBCS will be placing a seal through the holofoil CBCS logo. The reason for this is that when the label is removed, it will peel off a portion of the CBCS logo making the tampering extremely obvious. As always, we thank you all for your support of CBCS. I will as soon as I get back in the office on Tuesday. I'm in Baltimore until then. A welcome change, great to see that you guys are on the ball. Patience pays off. Imagine that. @SteveRicketts Thank you for addressing our concerns. Looks like this seal has been approved. Yes, that does look like it will be quite effective. Steve simple, effective and more confidence inspiring for those who questioned the smaller "seal overlap" you were doing already. This will be unquestionably more tamper evident now. That is great that shield is more then just a shiny decal, now it actually is a security feature. That is a A+ on your part CBCS. One more thing are you guys looking at anything for the outer shell also? @SteveRicketts - can you guys do a discount for reholders like you did when you changed the labels last year? Obviously this change is a good one and preferable to cases that came before. Thanks. Thank you for finally addressing this issue! No rush, I'm actually in Baltimore as well for some training but unfortunately will be leaving tomorrow morning...just in time to miss the con terrible timing. Enjoy the traffic and the convention! Double this. We appreciate it! See you there. I assume you are attending the dinner. Hope so. Awesome. i think that great and welcomed,my comics feel a lot safer. Great idea! Like others have said, simple yet effective! @JLS_Comics What's the name of the podcast?